When you need a tow you want to have it done ASAP, in a highly professional manner and for a highly competitive rate. 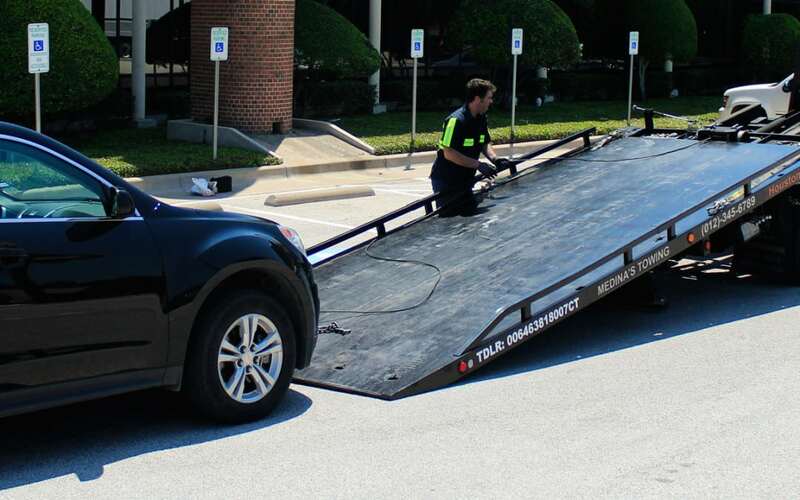 There is no shortage of towing services providers in Houston, the question is how to choose among them so that you’ll end up getting the type of service you want and deserve. In this blog post we bring you some insights and tips which will help you choose a towing company in Houston. Consider Using the Services of Fully Licensed Towing Companies Only There are towing services providers who are not fully licensed, it would be a mistake to opt for using the services of such a company even if they claim to be highly professional and offer low rates. The operations of licensed towing companies are supervised and so they must meet high safety standards as well as be highly proficient. The tow trucks licensed companies use are well maintained and adequately equipped. There is also the matter of insurance, it is highly probable that an unlicensed towing company does not have full insurance coverage so that in case your vehicle is damaged during the tow you may very well be left without compensation. Prefer the Services of a Local Towing Company Local towing and roadside services providers are more dedicated to providing the local community with top class towing services. It is therefore a good idea to prefer calling in a local towing company to provide you with the tow you need. Local companies are also more familiar with Houston and its vicinity, they know the needs of the local motoring community, prevailing traffic conditions, possible routes etc. All this means that a local towing company is more likely to provide you with quick, high quality service. Reliability and Availability With towing companies reliability is a key issue. You want to know that they will deliver on all that they promise, it is a good idea to keep handy the phone number of a towing company you heard good things about, keep their number not only on your phone but also written down somewhere in your car. With a towing company you want to know that they can help you out whenever you need them to. Always opt for towing companies which operate 24/7, such companies never close up shop, their services are available 24/7, all year round. It is always a good idea to google the name of the company the services of which you consider using. This way you can read a little about what people who used the company’s services thought about them. Were there cases of overcharging? Were there any incidents where the towing company did not deliver on what they promised? Did they keep anyone waiting long? Were there any other problems? If you’ve found a good towing company keep they phone number handy and don’t hesitate to recommend them to your acquaintances. It is a good thing to know that if you need a tow there is someone you can call knowing that they will do a good job.